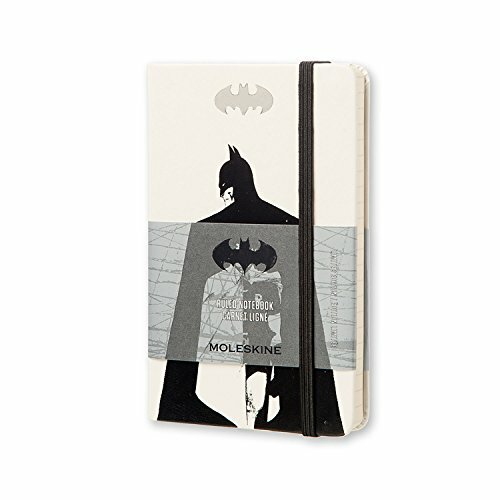 The legend is on the move: urban hero Batman has landed on the cover of the Moleskine notebook. This pocket white hard cover notebook has an illustrated Gotham cityscape printed on the endpaper and themed stickers. This is your key to Gotham City. - Dimensions: 3-1/2" x 5-1/2"
- Pockets: Expandable inner pocket in cardboard and cloth. If you have any questions about this product by Moleskine, contact us by completing and submitting the form below. If you are looking for a specif part number, please include it with your message.